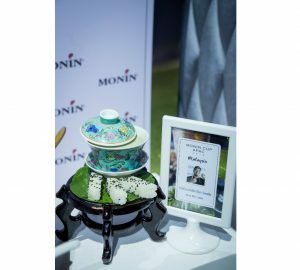 Myanmar’s Nyan Min has won the regional final of the 2018 Monin Cup, after beating 11 other finalists representing South Korea, Japan, Cambodia, Vietnam, Indonesia, Malaysia, Australia, New Zealand, Singapore, Thailand and the Philippines. 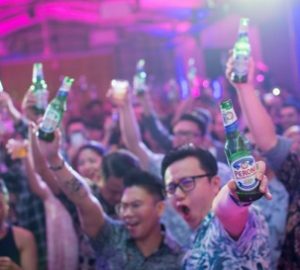 The 12 battled it out in October at Kuala Lumpur’s Deep Blue Bar for a place in next month’s global finals in Paris. 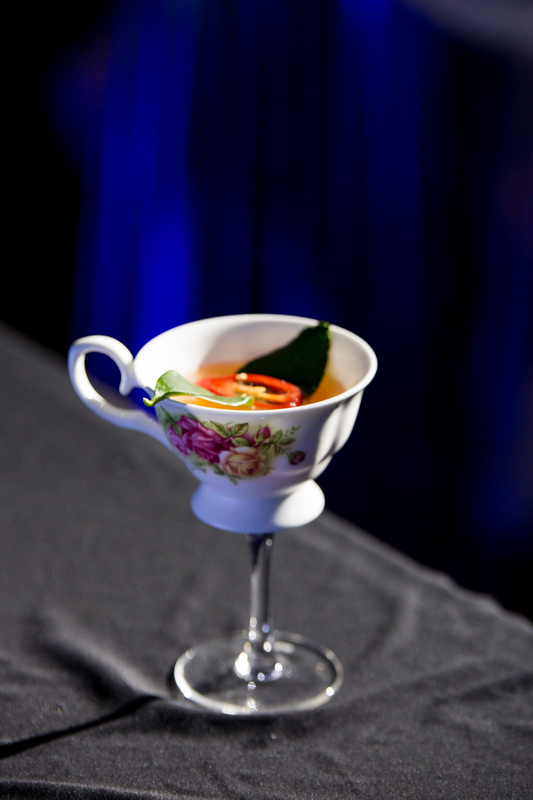 After the first round, with drinks inspired by this year’s theme “Mix Your Origin”, the top six were chosen and given a mystery box challenge to determine the final three. 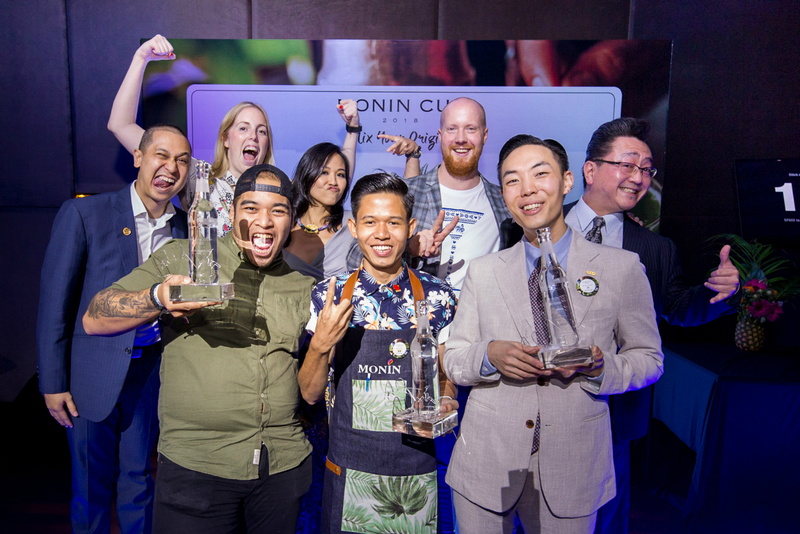 The competition was judged by Hidetsugu Ueno (Bar High Five, Tokyo), Holly Graham (drinkmagazine.asia), Adam Bursik (Origin, Singapore), Tron Young (The Bar Awards) and Isadora Chai (chef and restaurateur). 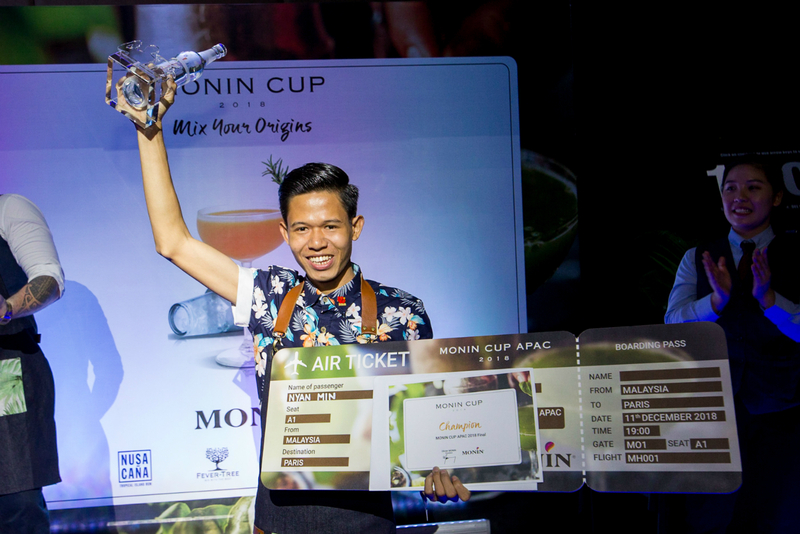 Though all three will compete in the global finals, Nyan Min from The Envoy in Yangon, Myanmar, took the top spot, followed by Son Seok Ju from Coffee Bar K in Seoul, South Korea and Hafizuddin Bin Sedik (aka Dino) from Malaysia. 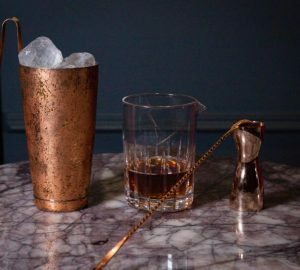 Aussie Kelham Waterfield of The Duke of Clarence truly mixed his origin by using almost all Australian-made ingredients, save for MONIN syrup of course. His cocktail Last Call used MONIN honeycomb syrup with a base of Australian rum Brix infused with Queensland bananas, Australian homemade sweetened milk and Aussie-made Mr Black coffee liqueur with a pinch of Murray River pink salt. It was a cocktail that repped down under through and through. 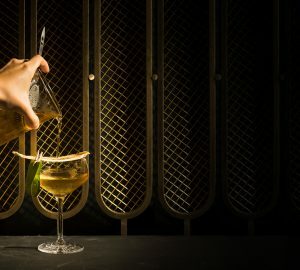 South Korea’s Son Jeok Su’s addition of Korean cold noodle meat stock to his cocktail Harmonin gave the cocktail a savoury note that reflected a taste of the Land of the Morning Calm, complemented by both MONIN cucumber syrup and Le Fruit de MONIN yuzu. Meanwhile, Dino’s durian liquor – complemented by both MONIN caramel and popcorn syrups – couldn’t have been a more Malaysian ingredient if it tried. 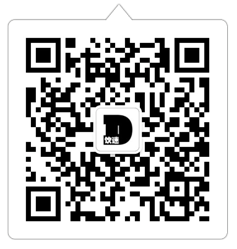 Speaking of that durian liqueur, the mostly-Malaysian audience brought the noise for their hometown hero Dino. 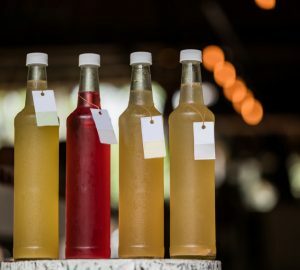 The liqueur – using the country’s favourite fruit – was met with huge cheers. And though one of Dino’s tins broke during a double shake, spilling his cocktail Kiss Me Later everywhere, the support from the crowd was strong and carried him through to the final (it helped that the judges loved the drink regardless of his accident!). Not to keep on about Malaysia, but having the hometown advantage definitely gave Dino the edge, sealing his place in the global finals. His mystery box cocktail Mangga Pedas went heavy on the red chilies, with the addition of MONIN spicy mango adding a kick to the blend of Nusa Cana rum, fresh lime juice and kaffir lime leaves. 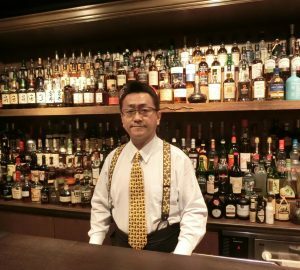 When presented with the drink, judge Ueno-san’s look of sheer terror indicated that perhaps he wasn’t the biggest fan of spice. Indeed his first sip was met with a spluttering cough and a dramatic faux-collapse on the table. Worry not, he survived. MONIN’s reusable cloth swag bags came with a variety of goodies including delicious syrups from passion fruit to habanero lime. But our favourite gift was the MONIN-branded bamboo straws complete with cleaning brushes. We love the environmentally consciousness approach and the minimal use of plastic in the competition overall. 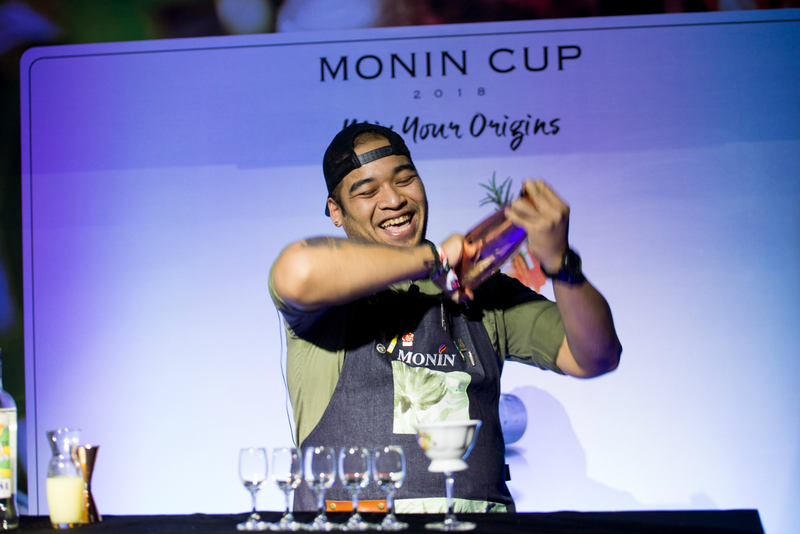 Judge Adam Bursik, Bar Manager of Origin in Singapore’s Shangri-La Hotel, was joined in KL by his colleague Adonis Reyes, who ran an Origin pop-up during the competition to keep spectators hydrated. Adonis’s small stand served a whopping 180 drinks in under three hours, and what better bar to match the theme “Mix Your Origin” than a bar literally called Origin. Drinks included the light, easy sipper Sanic (with shochu, kumquat, yuzu and tonic) and the funky Safari Safari (with Nusa Cana rum, osmanthus, jackfruit marmalade and bamboo leaves).